Beta blockers such as Carvedilol don't increase weight gain. 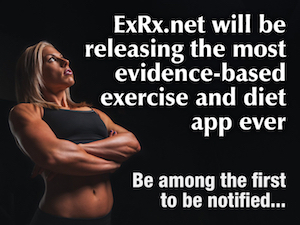 Increase acute (single dose) RPE during exercise. Take appropriate actions when experiencing any adverse effects of exercise. Bélanger M, Boulay P (2005). Effect of an aerobic exercise training program on resting metabolic rate in chronically beta-adrenergic blocked hypertensive patients. J Cardiopulm Rehabil. 25(6):354-60. Dreeben-Irimia O (2008). Physical Therapy Clinical Handbook for PTAs. Jones and Bartlett Publishers, 373. Gladson B (2011). Pharmacology for Rehabilitation Professionals, Elsevier Saunders (2) 486-490. Hung RK, Al-Mallah MH, Whelton SP, Michos ED, Blumenthal RS, Ehrman JK, Brawner CA, Keteyian SJ, Blaha MJ (2016). Effect of Beta-Blocker Therapy, Maximal Heart Rate, and Exercise Capacity During Stress Testing on Long-Term Survival (from The Henry Ford Exercise Testing Project). Am J Cardiol. 2016 Dec 1;118(11):1751-1757. Tesch PA (1985). Exercise performance and beta-blockade. Sports Med. 1985 Nov-Dec;2(6):389-412.